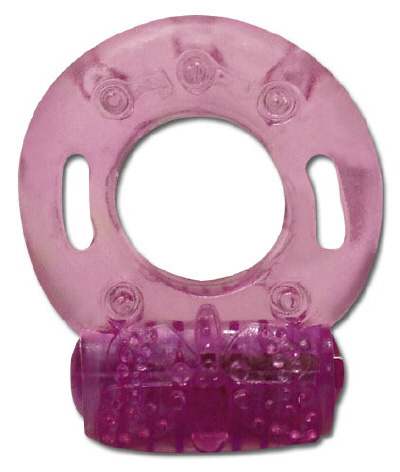 Silicone cockring with stimulating dots and incorporated vibro-egg. Can only be used once, since batteries cannot be changed. With On/Off button, vibration time approx 30 minutes. Colour: may vary. Ø 2.5 cm (very flexible). Battery included.